The music video for Korn’s new single, “Rotting In Vain,” posits that the seminal nü-metal band might have been summoned into this earthly realm via a drug-fueled fever dream. 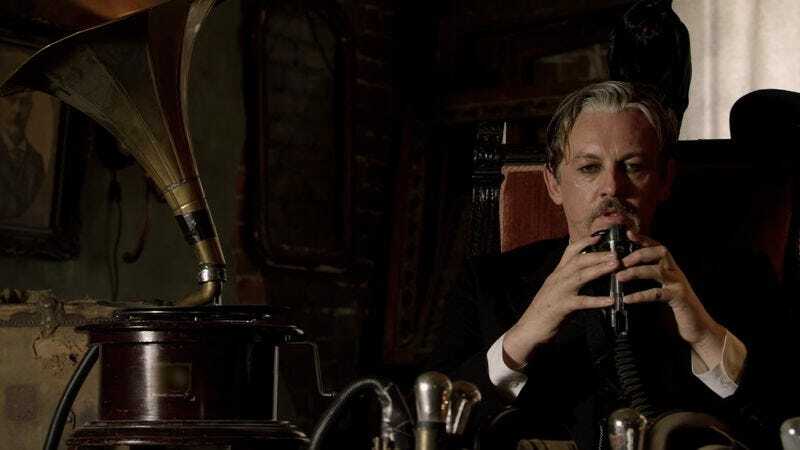 In the Dean Karr-directed clip, Tommy Flanagan—who played the perpetually unintelligible and loyal motorcycle club soldier Chibs on Sons Of Anarchy—sits down at some sort of Victorian-era huffing machine. Breathing deeply of its vapors has the immediate effect of violently producing the aging band members inside his run-down hovel. On the whole, this all seems moderately plausible. The Serenity Of Suffering is scheduled for release on October 21.